Every sale begins with these four basic components, get these right and you’ll have the basic recipe for success. Companies spend months hammering away at inside sales basics, when really these four components define success. If you don’t have the data you can’t have the sales. Seriously, data is the most critical piece of information in your sales environment. Do you know when the last time a customer made a purchase? Do you keep track of customers who fall off the charts? Do you know how often a customer makes a purchase? All of this is critical information. It is essential that you and your team work closely with you IT unit to determine what data you will capture, how it will be stored and how it can easily be retrieved. b. Scripts should flow effortlessly and seem natural for the reader. Using basic language so it is easily understood by your telesales agents. Keys to a successful script are crafting it so it is easily read, seems natural and begins with the end in mind. This means always write the script with the end in mind and pave the way for the sales to occur logically at the end. c. Every successful script has a call to action, what’s yours? Is it powerful? It has been said that “people are the heartbeat of an organization”. People are your most important asset and they should be treated as such. It’s not enough to pay a competitive wage you must also have a winning work environment. When employees are asked to name the top 3 reasons they stay with any employer the work environment is more often than not ahead of wages. Create a fun and interesting work environment that is warm and inviting. A good environment will often lead to higher sales numbers. b. Make sure your people are trained, they want to be successful and it’s your job to ensure they have all the tools, training goes a long way in determining if a telesales agent will be successful. You’ve got the Basics, What’s Left? Here are some additional components to help you become a high performance outbound sales environment. These complement the main components, and provide your inside sales group with a well-rounded package. 1. Training – Be sure to have initial, developmental and ongoing training. Training should be a part of daily life for your outbound sales team. 2. Contests – Get them fired up! Make sure you have a daily/monthly contest for your telesales agents. Nothing like a little competition to get them going. 3. Engage your customers – Don’t just communicate with them when you want a sale. Have a weekly trivia game via email which involves your customers, invite feedback and give away prizes for information. Get them involved and connected, this will keep them loyal, builds brand and the relationship. reach for. Post your current contests, customer stories, etc on the wall. Make the sales center exciting. 5. Management – Do you have the right leaders? The best sales managers are on the floor working closely with the sales team, providing encouragement, advice and helping to close the sales. It is their job to build excitement and coach the team. 6. 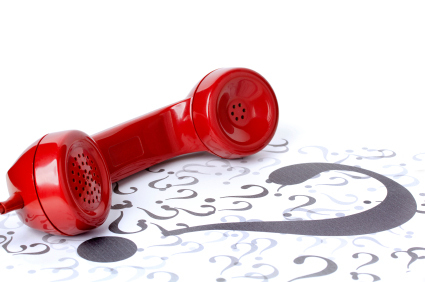 Call Monitoring – This can make all the difference in an agents’ success. Whether it’s side by side coaching, or coaching after recorded calls are scored, just be sure it’s part of our plan. Often times when an agent is able to hear themselves on a call they know exactly what requires improvement and will work hard to make it happen. In this case it is not a picture, but a recording which is worth a thousand words. 7. Reporting – A must have in any sales environment. Post your reports, let everyone see what’s happening. It is with the key elements Data, Script, Offer and People that you begin your journey to success. It is critical you get these four components right. Regular review and editing is necessary to keep things current and relevant. All of the other tips and hints just add to your success and ability to attract quality people and run a successful sales environment. 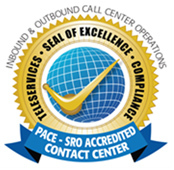 Phone Ware® is a full-service, state-of-the-art, integrated call center. We offer a blended suite of solutions for programs that involve outbound and inbound calling, email, sales and customer care interaction. The Phone Ware® value is delivered through our innovation. 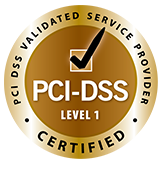 Professional call center solutions begin with knowledge, commitment and a relationship bred in trust. 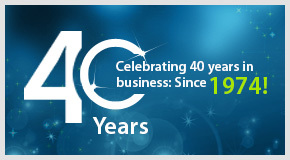 Our business expertise ensures we become partners in the success of your business. For more information, contact Bill Nassir or Bill Kyle at 800-243-8329 or visit www.phonewareinc.com. Or email bKyle@phonewareinc.com.